The Legend of Zelda is one of gaming's most fantastical tales. For 30 years, an elf-like dude in a green shirt has embarked on adventure after adventure. His look changed, and his setting changed, but his spirit never changed. Throughout the course of those thirty years, the impact of his first adventure has resonated within the industry. 30 years ago, the foundation of gaming shifted drastically, with the definition of "adventure" being intrinsically linked to the Legend and its hero. Many milestone titles have released under the Zelda brand, and many more have released because of it. Each game in The Legend of Zelda franchise, despite the character and console changes, has impacted the industry, but none more than the first. The Legend of Zelda was one of the earliest titles imagined for the Nintendo Entertainment System, and was built from the ground up with the intention of being more than a single-sitting experience. 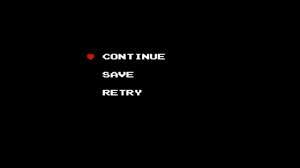 The ability to save progress was a revolutionary introduction - and it was done without those godawful password saves. You know them, the ones where you had to remember ridiculous codes in order to return to your last level? 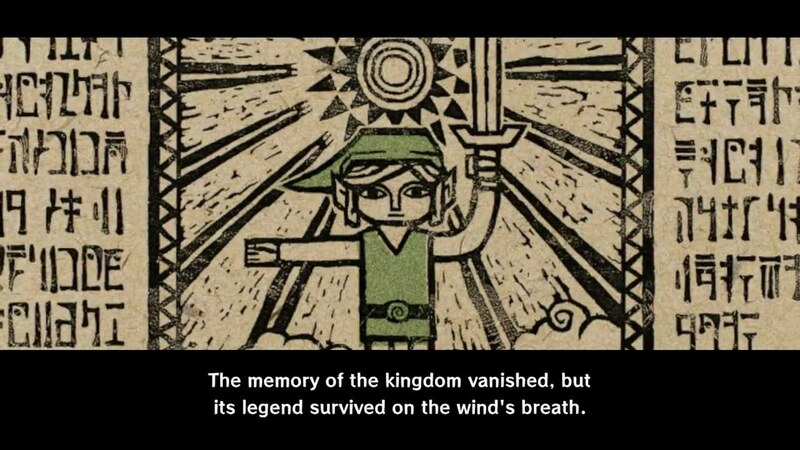 Yea, that wasn't what The Legend of Zelda did. The ability to save was built into the American cartridge via internal battery-powered RAM chip. It's nearly unthinkable today, especially for the younger gamers, that there could exist a game in which saving with ease was not an option. This forever catapulted games away from the superficial reputation they had garnered previously and towards an era of larger, expansive experiences. Following its release, the door was opened for games that would allow for features like character development, item gathering, exploration, and profound stories. So take a moment and thank Zelda for that. Once upon a pre-Zelda time, games focused heavily on "Go from point A to point B," and rarely would you visit the same area more than once during a single playthrough. Game levels existed mostly as a one-and-done in an effort to maximize a single-sitting experience. Now that there was the ability to save your game, it was time to make a game that was worth saving. It could be bigger, deeper, more engaging, and the areas could evolve alongside the story. No longer would areas disappear simply because they scrolled off screen. The open world approach to The Legend of Zelda made the game, the land, and its inhabitants feel more alive. Revisiting areas was encouraged, and often necessary. 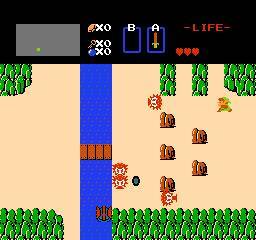 The Legend of Zelda was an important influence on the action RPG genre, serving as an early example of open world, nonlinear gameplay. The Legend of Zelda was not the type of game that would give you any indication of where to go - nor would it actively deter you from entering an area you were not yet prepared for. In truth, you can make your way to the final boss without even picking up a sword (although you do need the sword to beat him). From a design standpoint, Zelda's influence has resonated throughout the industry. The puzzles within the original title demanded that the player balance both manual and mental dexterity, while offering items and actions that resulted in instant gratification. The openness and accessibility of the individual areas within the game managed to translate the presumed emotions of the character. Link was supposed to be lost, exploring on his adventure, and what better way to pull that off than to also make the player feel like a lost explorer? Zelda's design inspired countless other titles to adopt the action-adventure-exploration hybrid with a top-down perspective and expansive, cohesive overworld. These games have long since been informally dubbed "Zelda clones," unapologetically wearing their influence on their sleeve, both paying homage to the game which they draw inspiration from and simultaneously attempting to recreate the feeling of gamers' first visit to Hyrule by playing on nostalgia. But making a game savable had many implications, including the ability to expand on the story as well as the environment. At the time of its release, it was not uncommon for the plot of a specific game to be laid out in the accompanying manual, with very little evolution to the story itself playing out on-screen. While the full ability of integrating an evolving story wasn't fully realized in The Legend of Zelda, it was certainly made possible because of it. Moving forward, the franchise began to incorporate deep, meaningful, growing stories, turning The Legend of Zelda into an actual legend. The franchise began to embrace a more cinematic experience with its third entry, A Link to the Past. The story was being laid out on-screen, and this carried the franchise into the third dimension with one of the single most cinematic The Legend of Zelda titles, Ocarina of Time. The game's technical legacy cannot be argued - its introduction of Z-targeting alone revolutionized gaming moving forward, offering the ability to not only lock onto specific enemies for more meaningful close range and projectile attacks, but also the ability to manage multiple on-screen enemies more efficiently. More than its technological advancements, however, was the way that Ocarina fully utilized the open world concept that was introduced by the franchise's first title. Hyrule became a 3D playground, nearly devoid of empty, meaningless space. If you could see something on the screen, you were going there. See that big, hulking volcano? You're going there. That sprawling castle? You're going there. Is there something off to the left that you can't see? You're going there. Even the "empty" space of Hyrule was made meaningful, with the incorporation of the Poes later in the game. Every stitch of the game was fully utilized. It has been many years since my first Ocarina of Time experience, and I still struggle to be able to fully capture in words what I felt the first time I stepped onto Hyrule Field. Critics of the games, particularly of Ocarina, will point to the assumed shallowness of the stories. Aside from the incorporation of the extensive lore of the lands through cutscenes, the games on the surface can feel a bit shallow. Until, of course, you consider them. Ocarina of Time, for example, split the timeline of The Legend of Zelda, and regardless of your success, there will still be a timeline in which you've lost - and there is nothing that can be done in order to change this. No matter what, Hyrule is a cursed land, Link is a cursed hero, and there will always be evil to fight. Success is only sometimes guaranteed, as was learned in the opening sequence of Wind Waker. 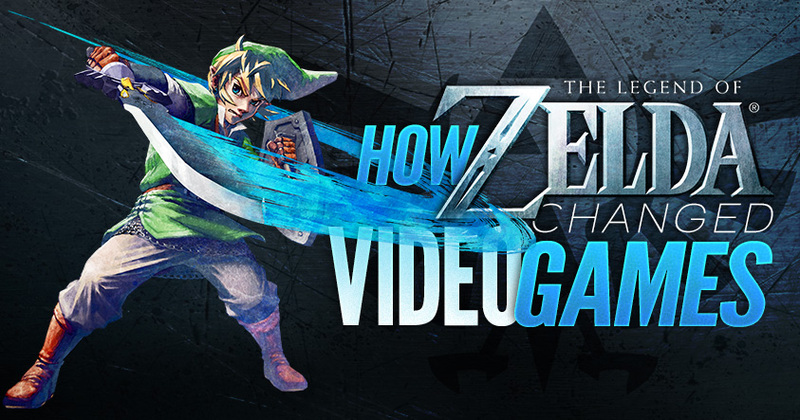 In a world without The Legend of Zelda, games would be shorter, messier, and far more linear. The series has consistently redefined adventure, while managing to fully utilize the capabilities of the hardware for which the games were created. The impact of the series, particularly the first title, is felt in nearly every game that releases today, be it length, depth of the story, or mechanically. A world without The Legend of Zelda is less adventurous. Luckily, we don't live in that timeline.